On February 27, 2019, with the world watching, Michael Cohen—former lawyer and fixer for President Donald J. Trump—took the stand in front of the House Oversight Committee and delivered one of the most sensational days of Congressional testimony in history. Not since President Richard Nixon’s White House counsel John Dean turned on him during the Watergate scandal has a close Presidential associate attacked the character of the Chief of State and charged him with criminal acts. 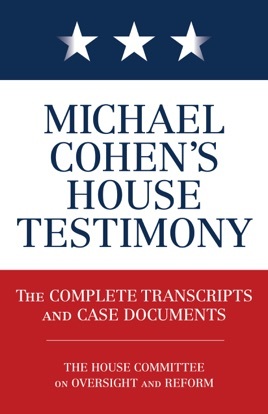 Here in one volume is living history—the hard-hitting prepared statements, the damning evidence, the salacious charges, the belligerent questioning, and the stunning revelations.